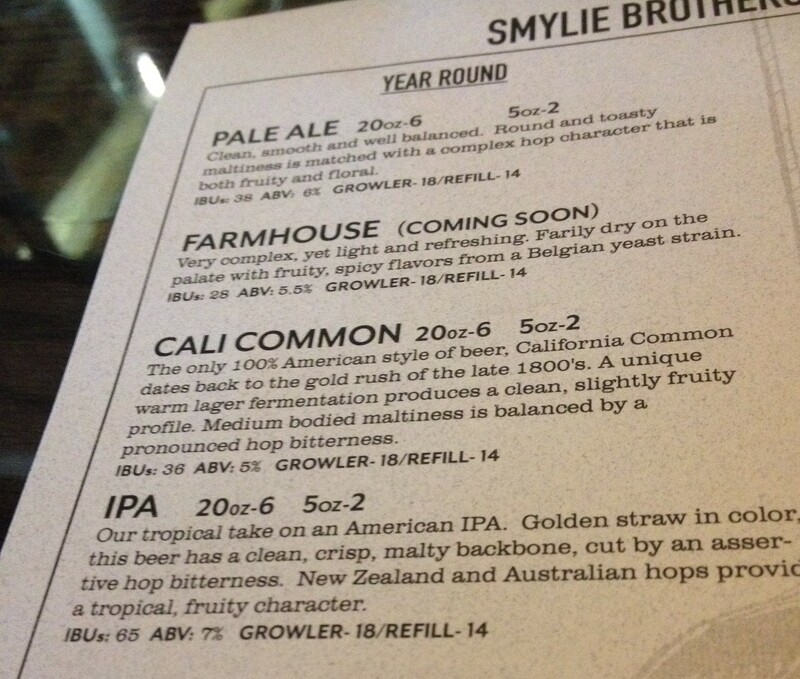 Smylie Brother’s Brewing Company in Evanston might well be my new favourite spot for a couple of reasons. Great Food and Great Beer. I popped over to Evanston via the El to Davis street to meet up with a fellow expat and found myself ensconced for a few hours working my way though their beer list. Tough work for an afternoon but I was most certainly up for the task. Sitting at the bar you could see into the back room and see those big shiny metal vats that are filled with all that lovely beer that we were about to drink. I love a place like this and although it makes me a little sad that I now live back on the other side of the pond and that I cannot make this my new local bar, I am also happy to have found somewhere to visit again and possibly again on my trips over to Chicago. 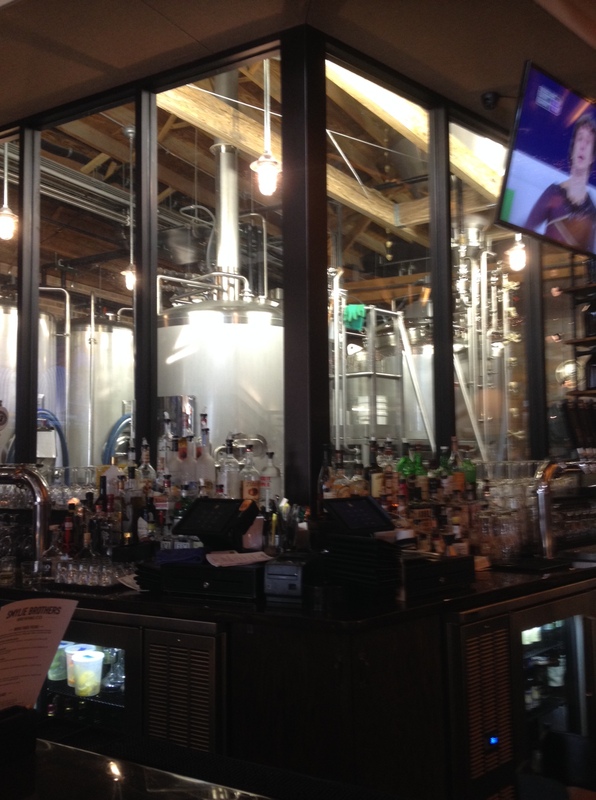 During the afternoon I was fortunate enough to sample both their IPA and their Pale Ale. I liked them both but favoured the Pale Ale a little more as it had a gentler taste. I found that the description on the menu of the IPA ‘an assertive hop bitterness’ was pretty spot on, it was a bit harsh, but also a damn good effort on the brewing front. 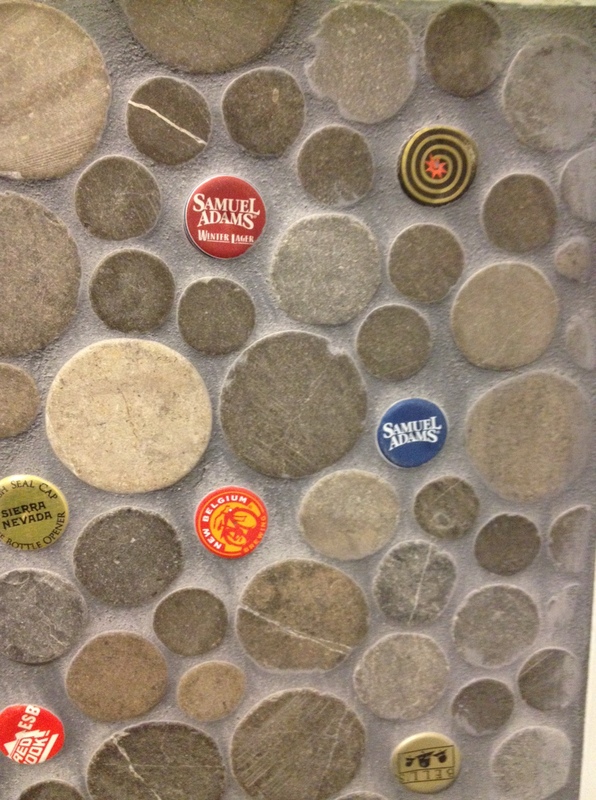 All the beers I drank were perfectly acceptable and well brewed. 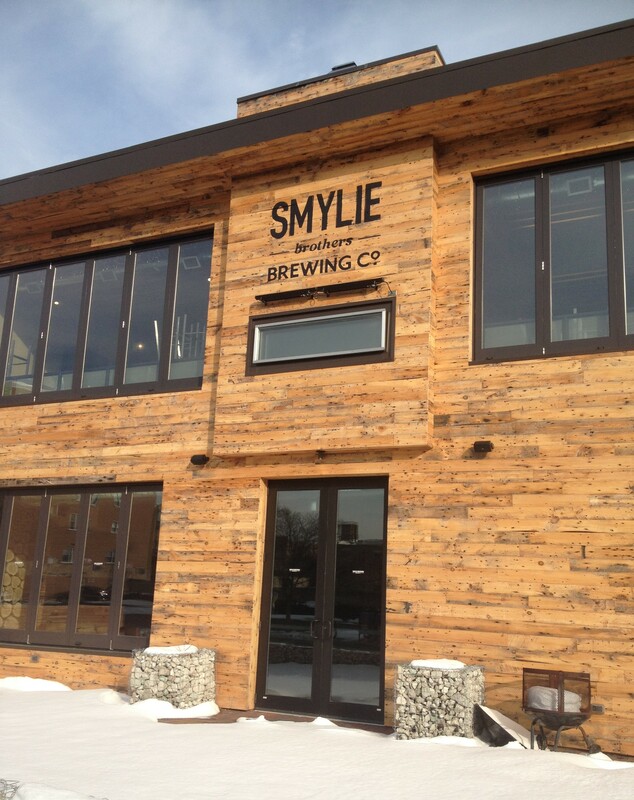 Smylie Brothers have got something pretty good cooking up in those silver tanks and I feel that they will have a strong future beer wise. I for one will be back. The way I was looking at this was rather the same way that I like “Chips with Curry Sauce”, or “Chips with Gravy” and when I say chips I mean proper English chips or fries as they are called this side of the pond. 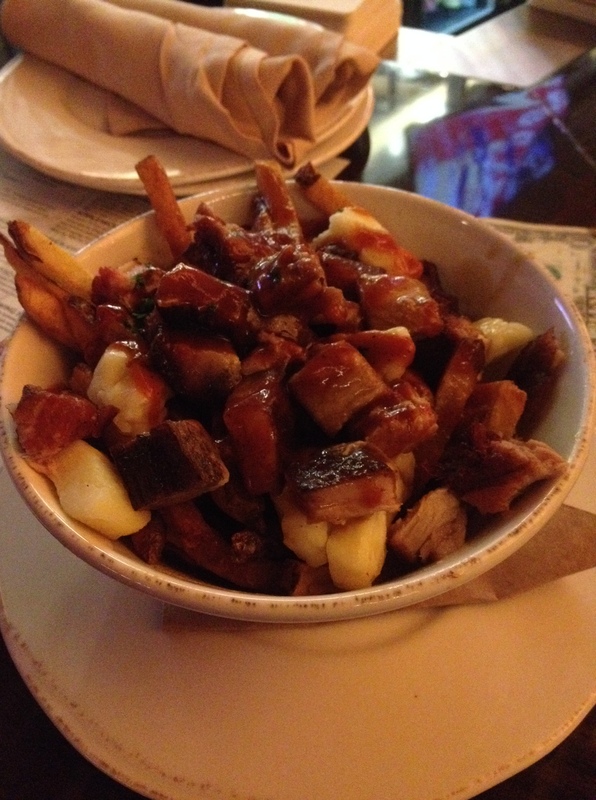 So OK lets get back to this Poutine style dish here at the Smylie Brewing Company. As far as I could tell I was getting a bowl of chips/fries covered in cheese curds, belly pork, and gravy. I had sampled a few beers, needed some comfort, needed some gentle sustenance, and this was going to be my salvation. I was correct on all counts, a monster dish, I loved everything about it, the chips with the gravy made from the house produced Cali Common beer was enough on it’s own. On top of that add some silky, crunchy, soft juicy pork belly and, well, my friend, we are already stuck in some sort of pork gravy chip heaven. Can we top that? Well it appears that we can, all we have to do is add some lovely chunks of soft, salty and also silken cheese curds too, amazing. Now this was my first time at the Poutine party and I don’t know if this is the real deal, but if this is the start of my journey on a Poutine quest to perfection, well I like to hope I have made a good start. It helped me out in my hour of need and in it’s role as a comfort food it played its part exceptionally well. So could any other dish have made it’s way into my heart this fine day? 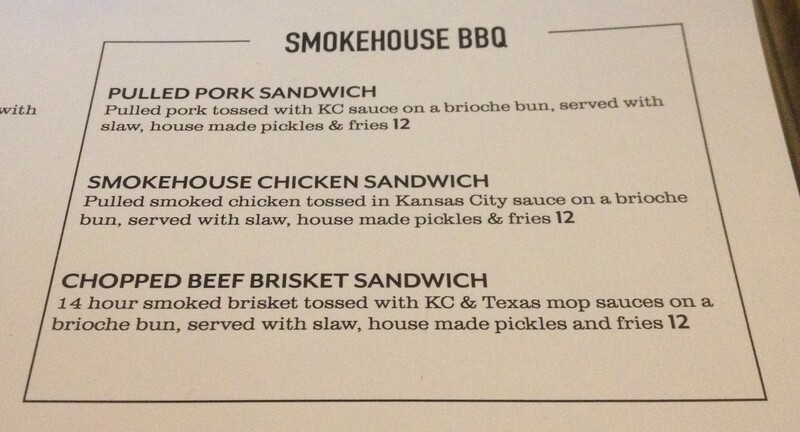 Probably not but some of these BBQ smokehouse dishes could have whet my appetite. If I could have found space to sample a small platter of them all then I might have been satiated, but I shall save these for another trip. But what else was on offer? The somewhat mysterious lady sitting next to me, an anthropologist with a flight sampler of all the beers, was tucking in to one of the Wood Fired pizzas “Neapolitan style dough made with our Farmhouse yeast starter. Topped with crushed tomatoes, Wisconsin Cheese fired at 800 degrees”. It looked good, good enough to eat, and as we bantered about beer and food between our groups I politely took a photo and a slice to add to the blog. Perhaps I was an exercise in anthropological study? One would like to hope so. So what Pizza was that? Well, in conversation, it had to be the Smokehouse Pizza (which would have been my choice too!). A pizza topped with ’14 hour smoked brisket’ (divine), ‘Texas Mopping Sauce’ (good choice), ‘Pickled Jalapeno’ (spicy), and ‘Montery Jack Cheese’ (I like that)’ for $13. It Looked good and tasted good as well. I have to say that ‘on this day’ with my old buddy Jay, that was very much the vibe and I will look forwards to the next time that we all meet! Check them out on Facebook and on Twitter or do it the old fashioned way and walk in for a beer. The pizzas are made in the dining room from a huge wood fired oven and are a good portion size. 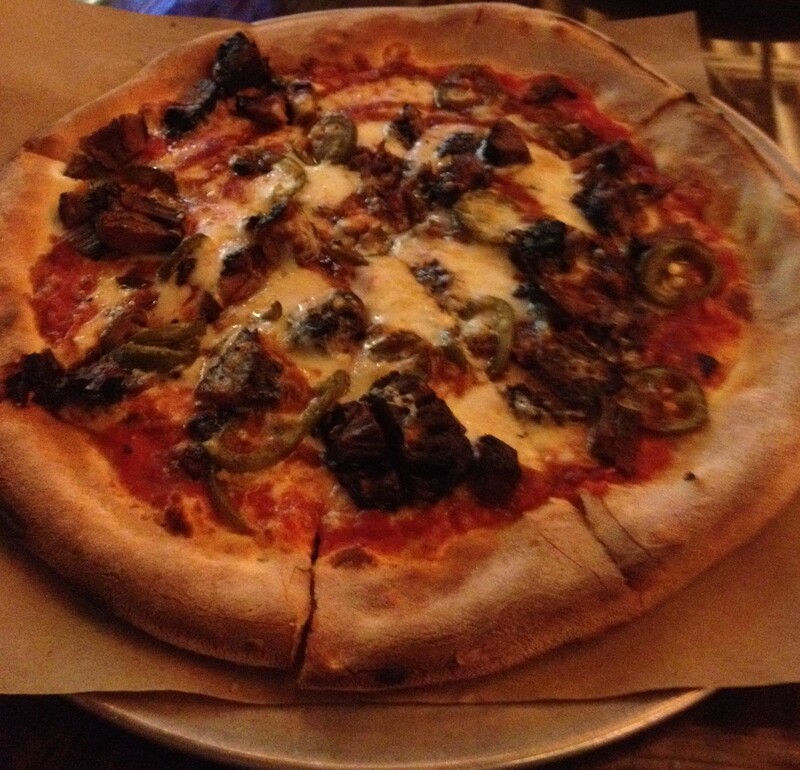 That Smokehouse pizza is my favorite with the heat of the jalapenos mixed with the delicious perfectly smoked meats. I had this and their IPA which was a really nice blend of light almost fruitful tasting hops. Best IPA I have had in a long time.